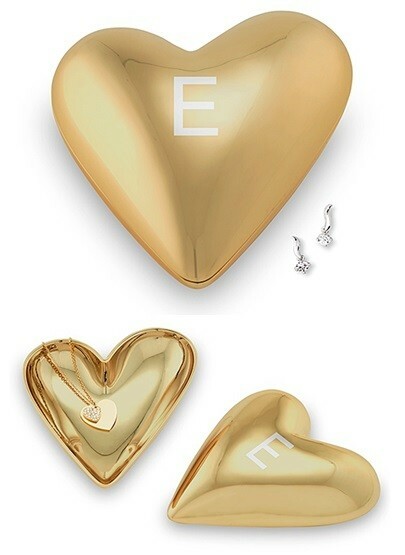 Dimensions: 2" x 51/8" x 4 1/8"
This fabulous gold-colored coated-metal jewelry box features a stylized heart design and a polished gold-colored interior. Better yet, the lid may be etched with a single initial monogram to create a keepsake they will treasure for years to come. PLEASE NOTE: Pictured jewelry is not included.